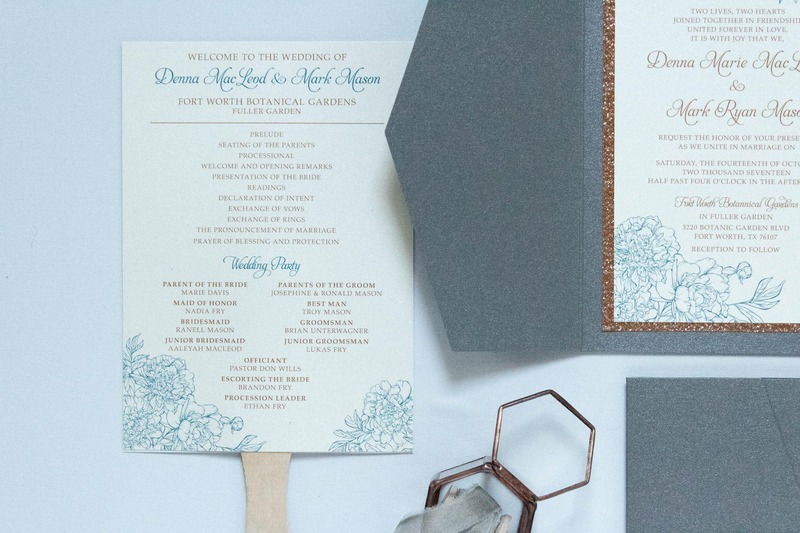 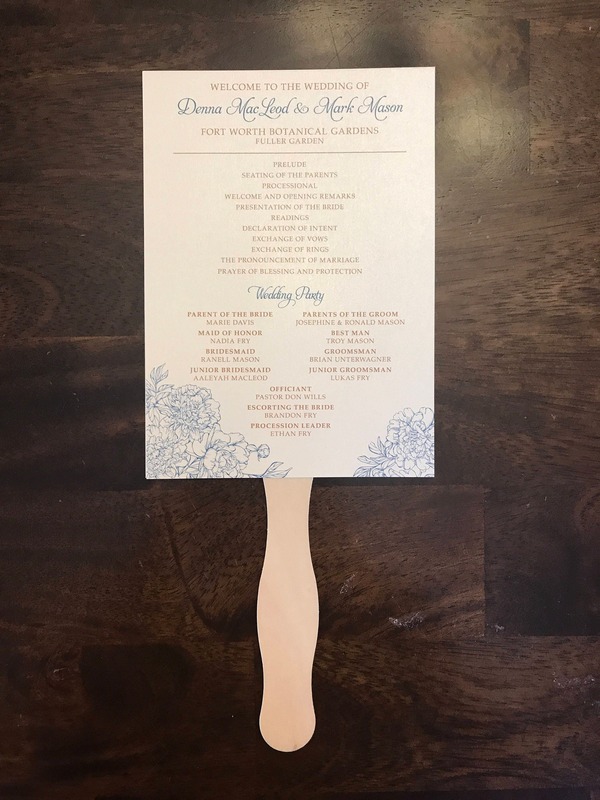 Wedding Ceremony Program Fans in Turquoise and Copper, Rose Gold and Floral with Die Cut Shape — Other Colors Available! 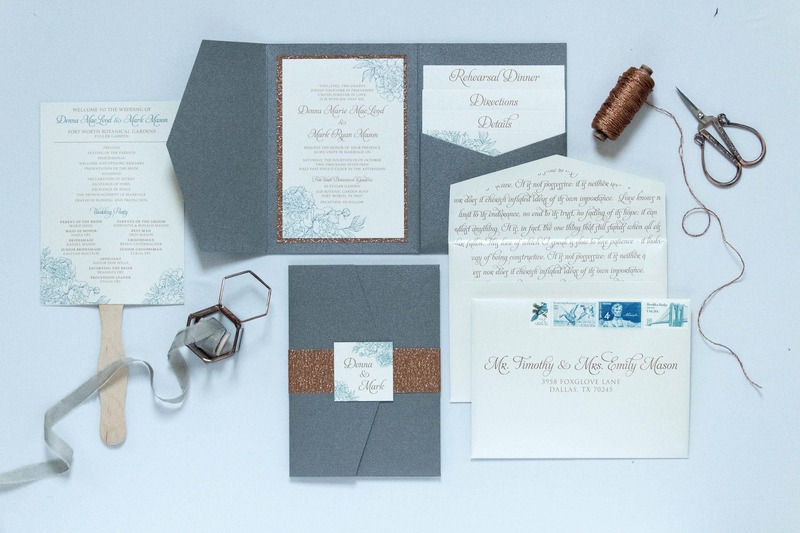 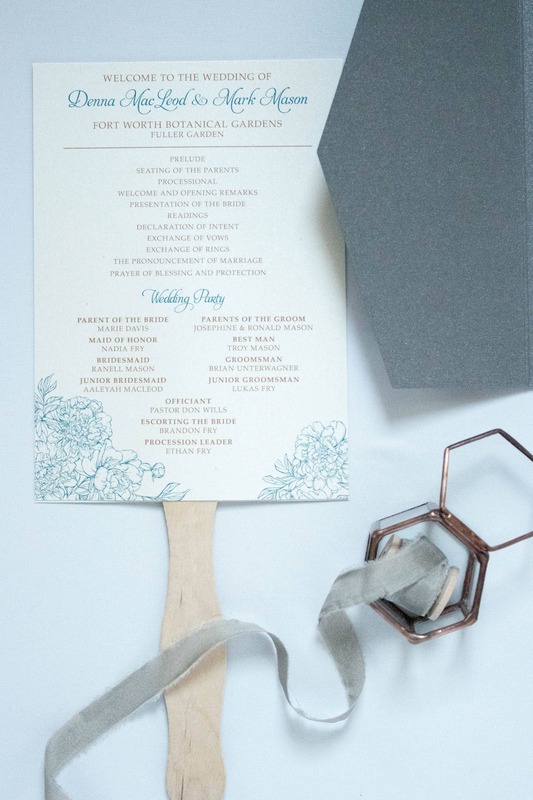 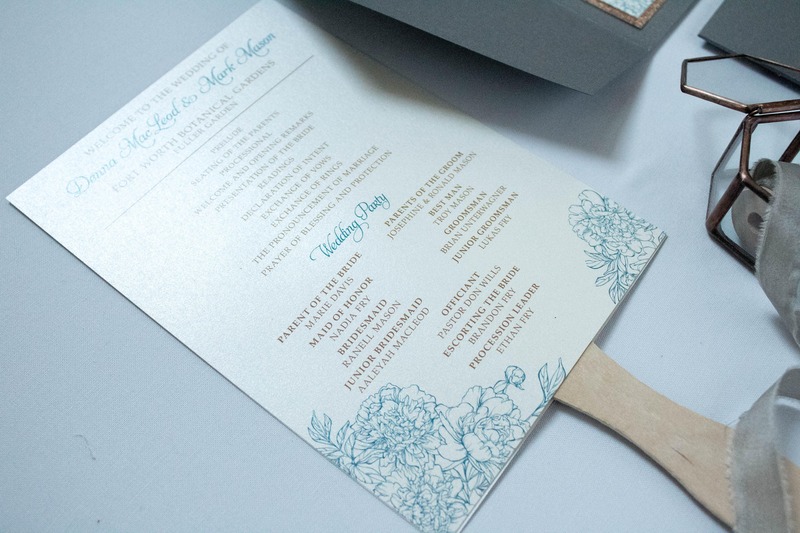 This turquoise and copper floral wedding ceremony program fan is great for outdoor weddings! 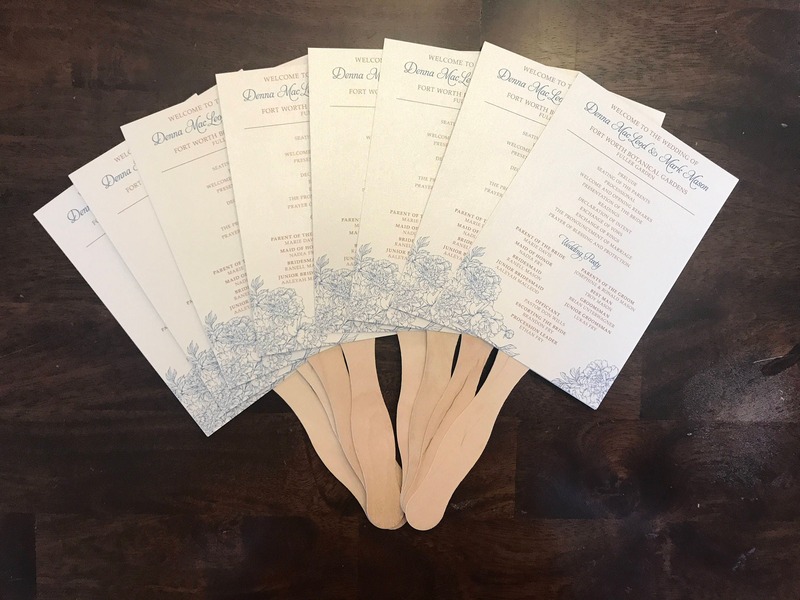 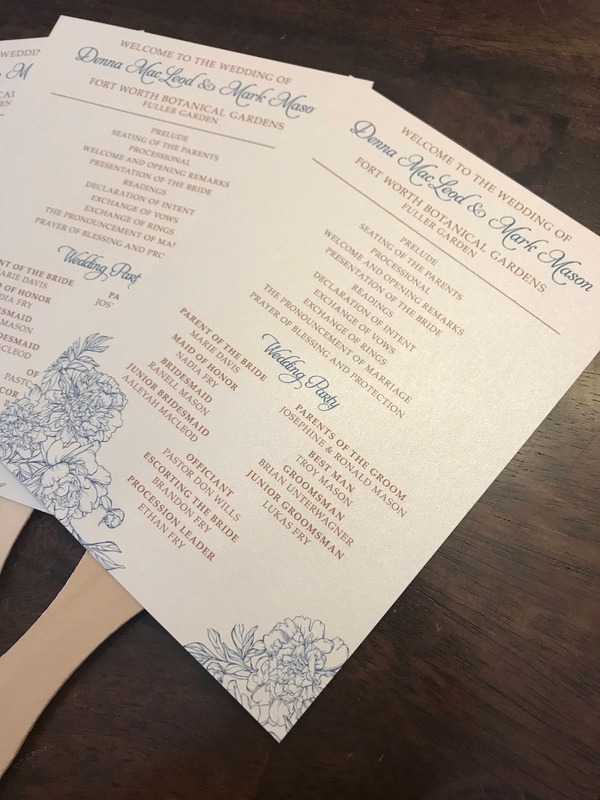 All of our wedding ceremony program fans are printed on amazingly thick cardstock using a commercial quality printing press. 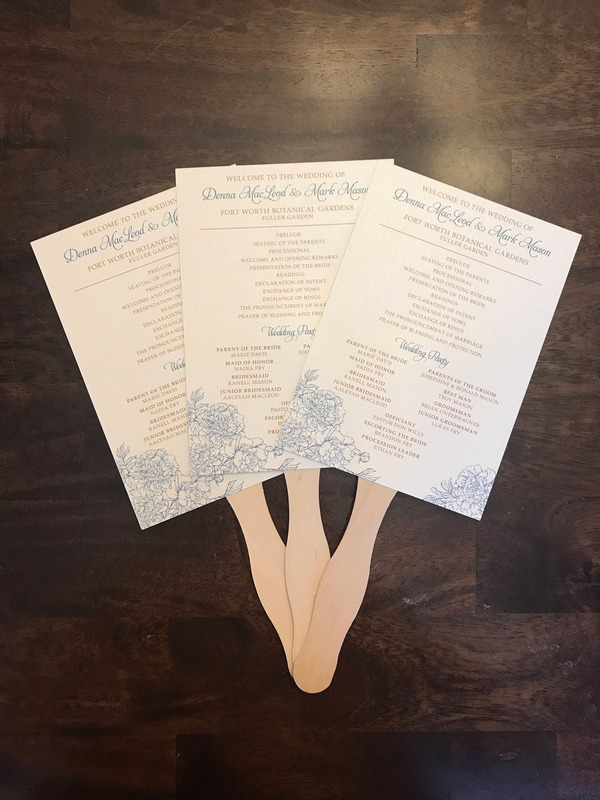 • Size: Fan Program - 5"x7"
All products ship Priority Mail or UPS, which takes 2-3 days domestically and 10-15 days internationally. 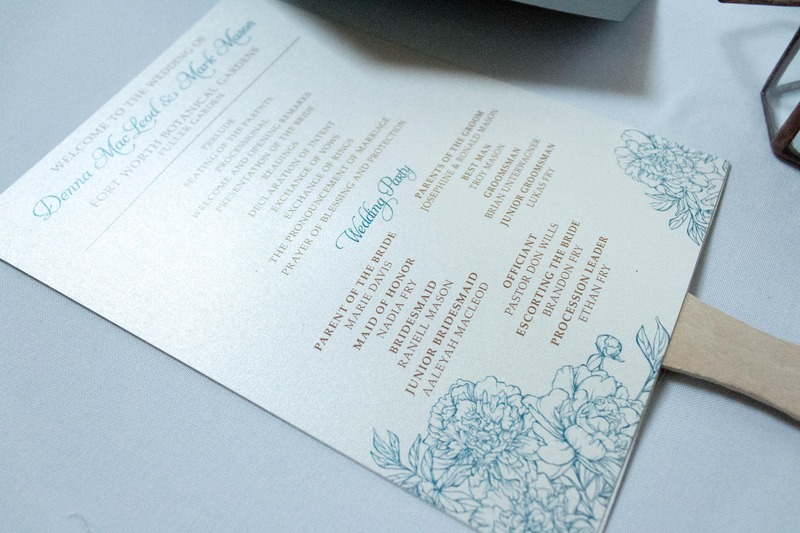 Expedited shipping is available upon request.